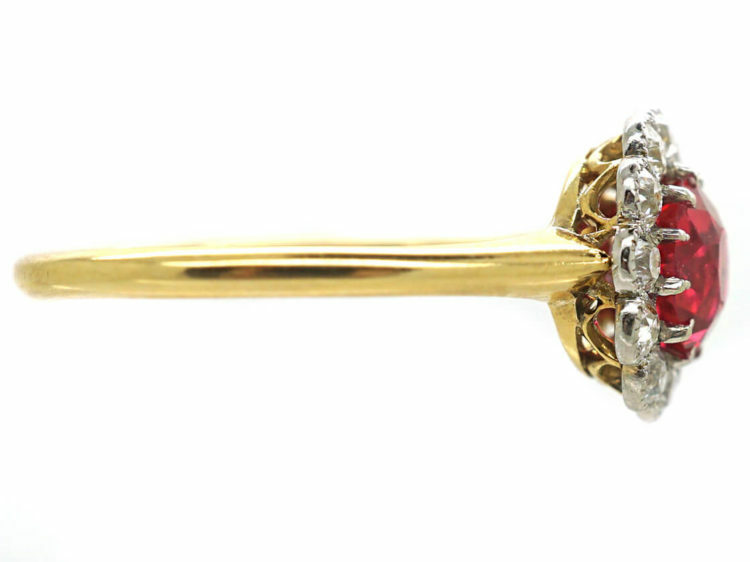 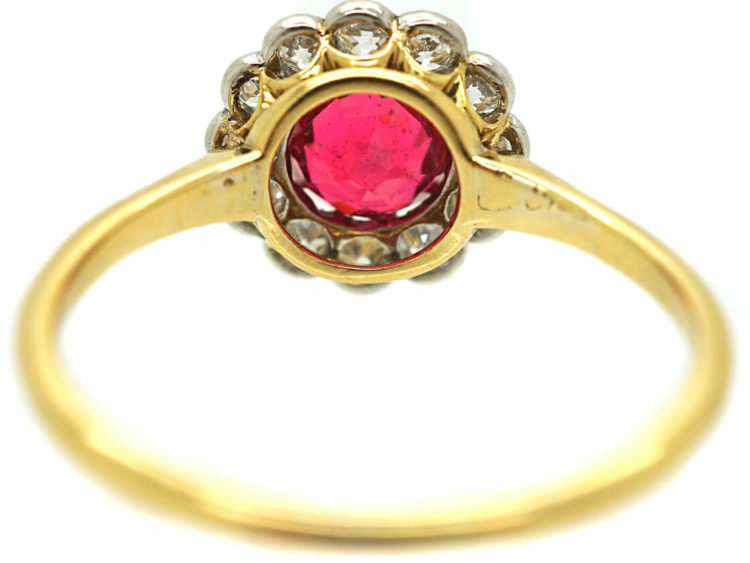 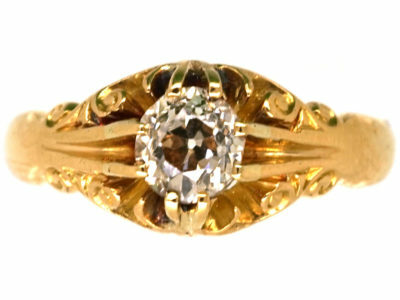 A stunning 18ct gold ring set with a red spinel. 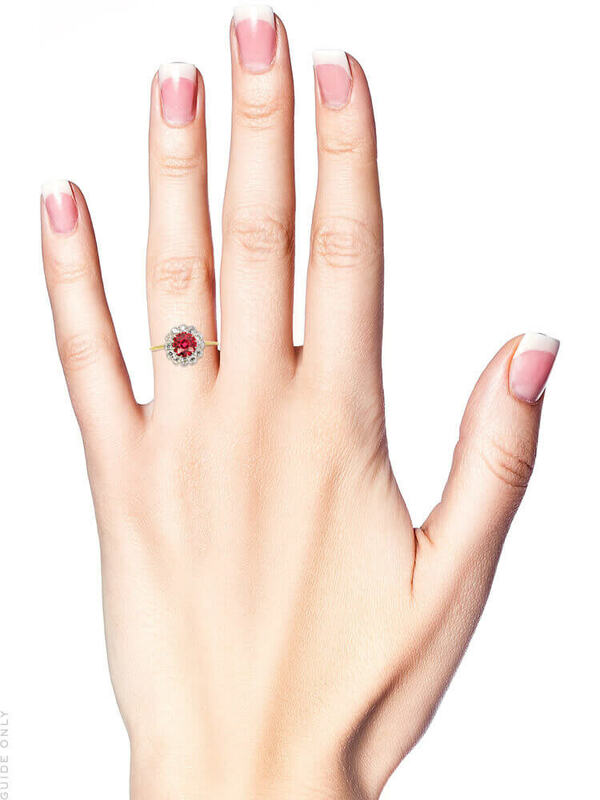 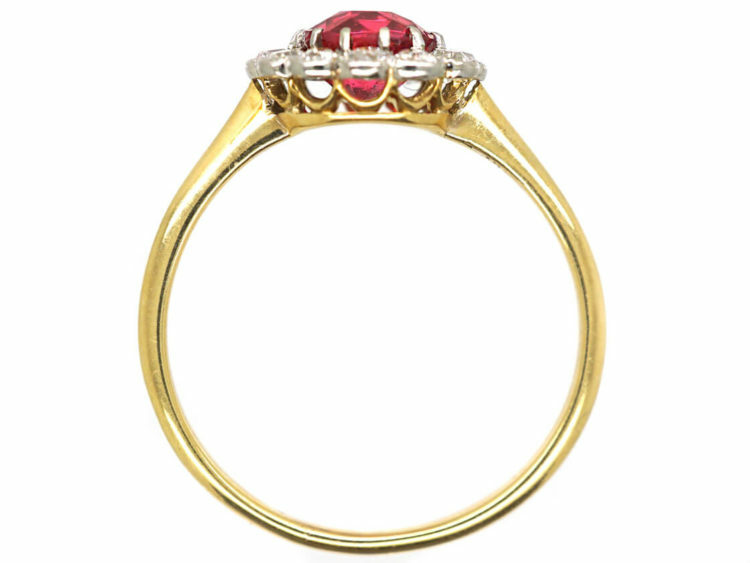 Spinel is most famous for its deep red variety that closely resembles ruby such as the one in this ring. 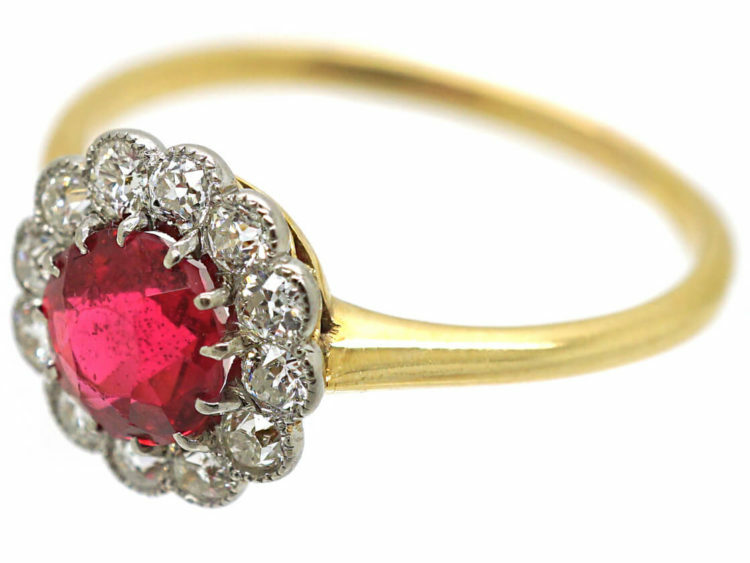 These two gemstones can be very difficult to distinguish. 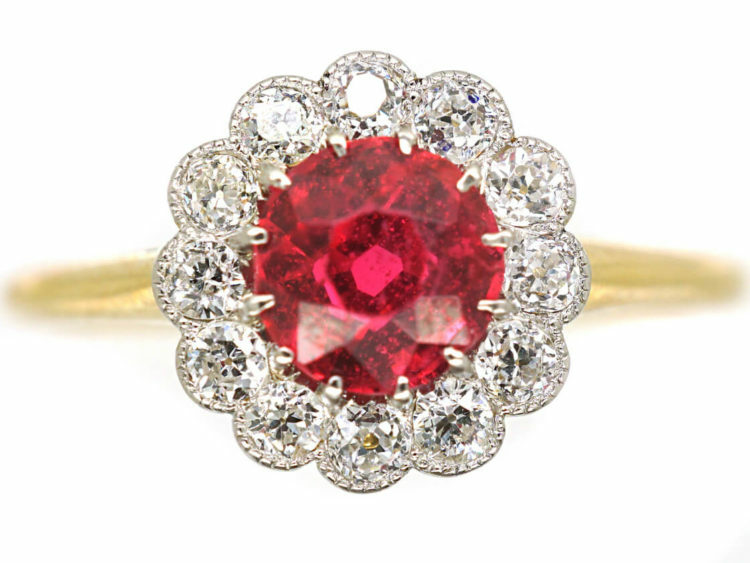 Until the late 19th century, there was no distinction made between ruby and red spinel, as they look identical and are found in the same localities. 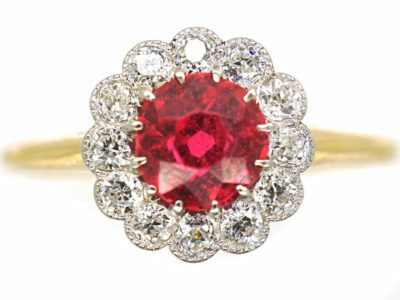 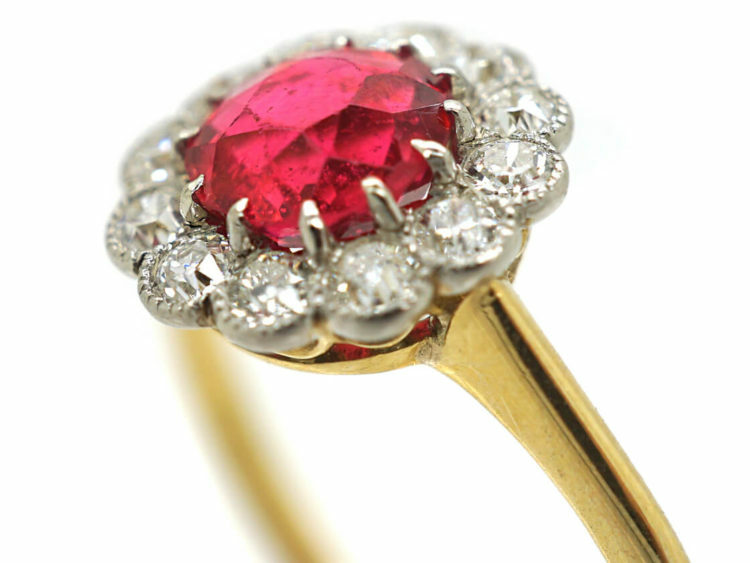 Many famous old “Rubies” were discovered to be in fact spinel. 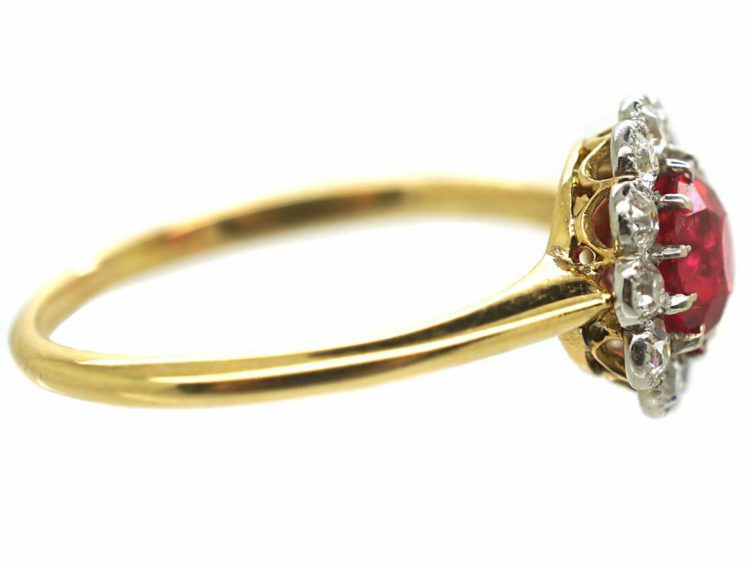 The spinel is surrounded by well matched white diamonds in a platinum setting that perfectly compliment the stone. 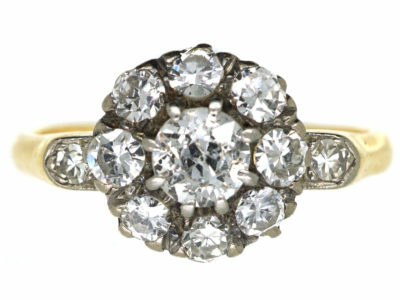 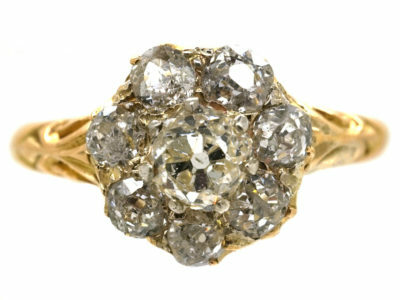 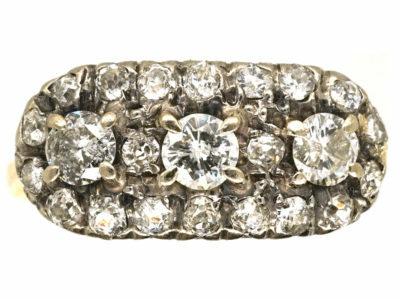 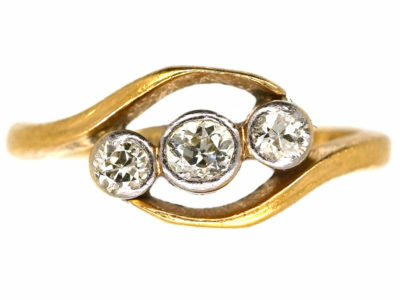 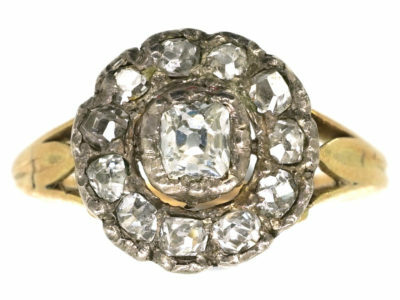 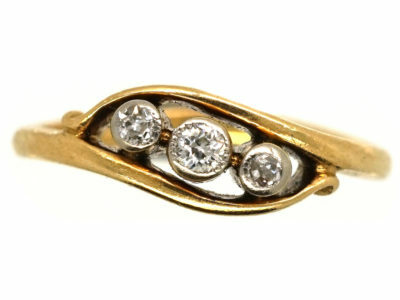 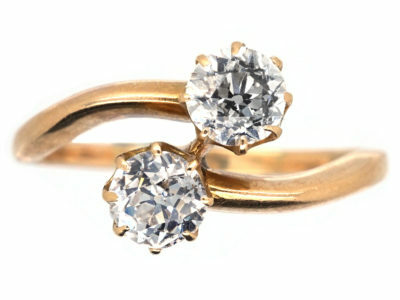 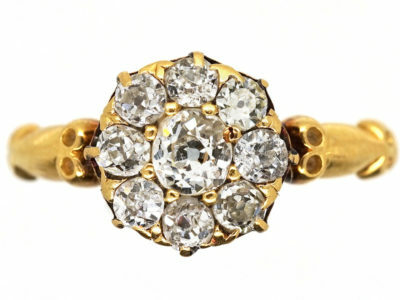 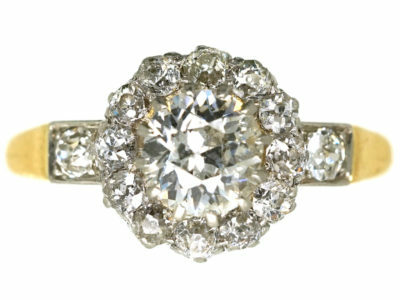 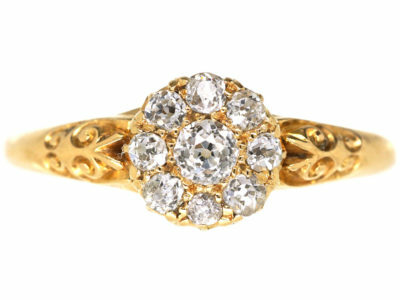 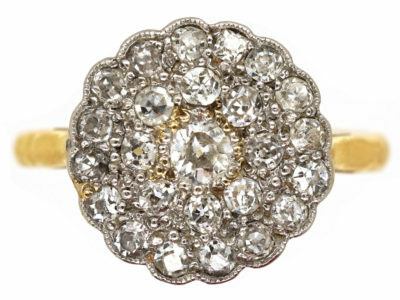 This ring would be an ideal engagement ring.